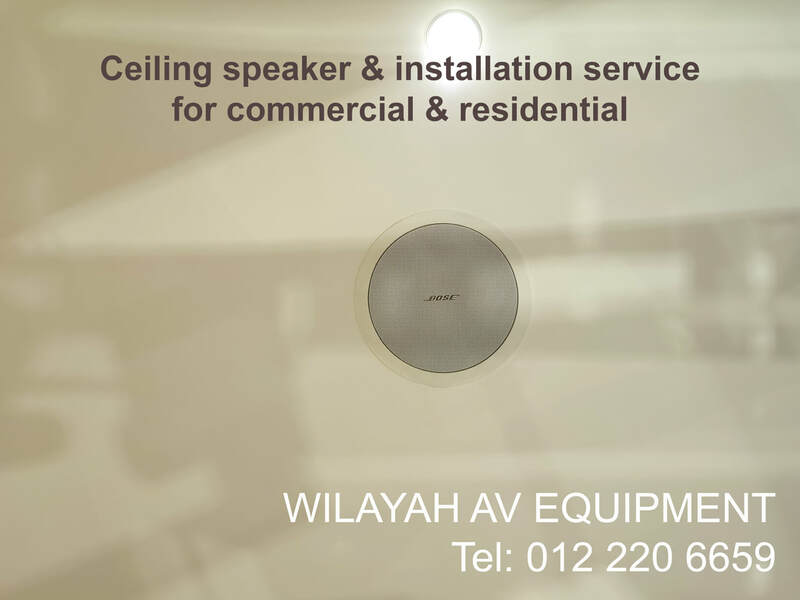 Ceiling speakers Malaysia - Wilayah AV Equipment, your home theater system and hifi sound system dealer in Malaysia. 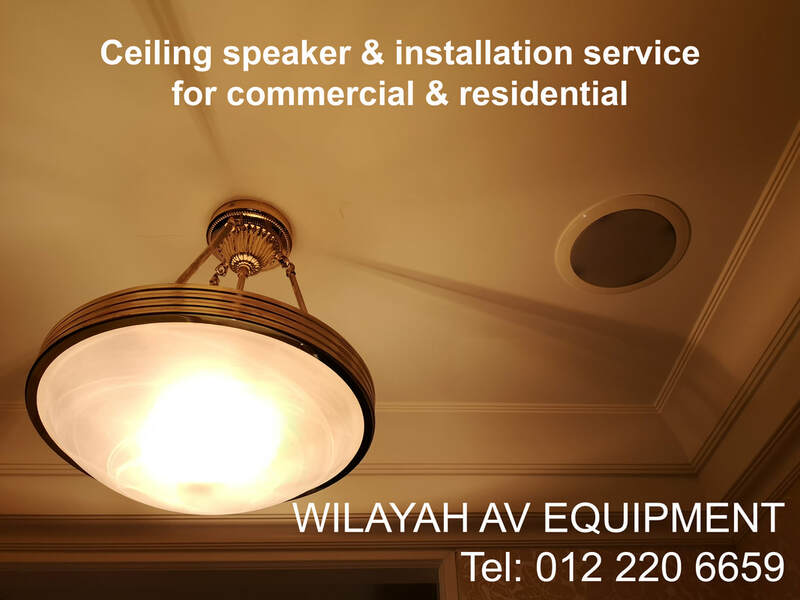 We supply and install ceiling speakers for residence and commercial usage. For more details, call the number. 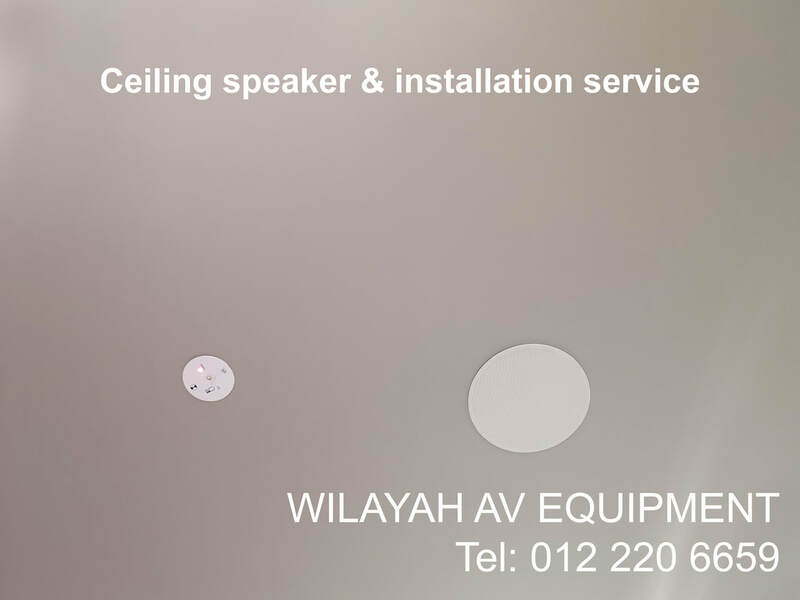 High performance Bose ceiling speaker for hifi audio quality. 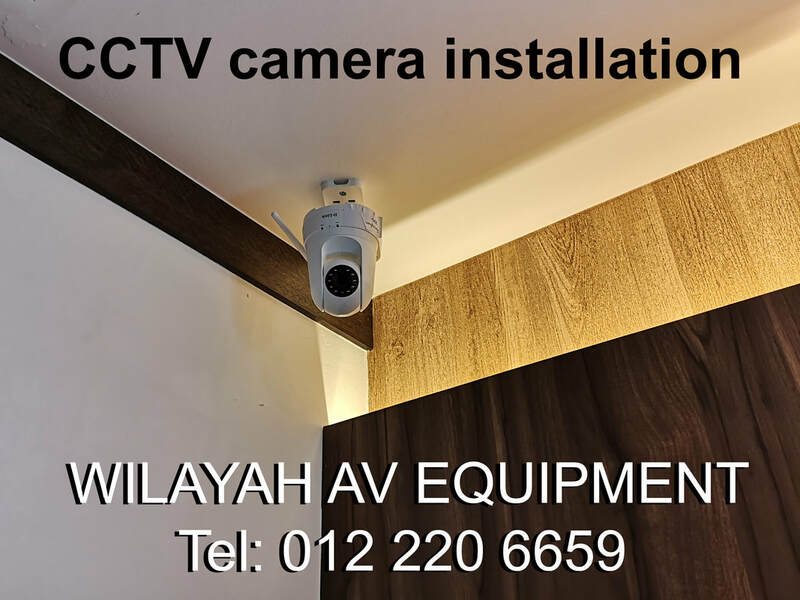 Suitable for commercial & residential. 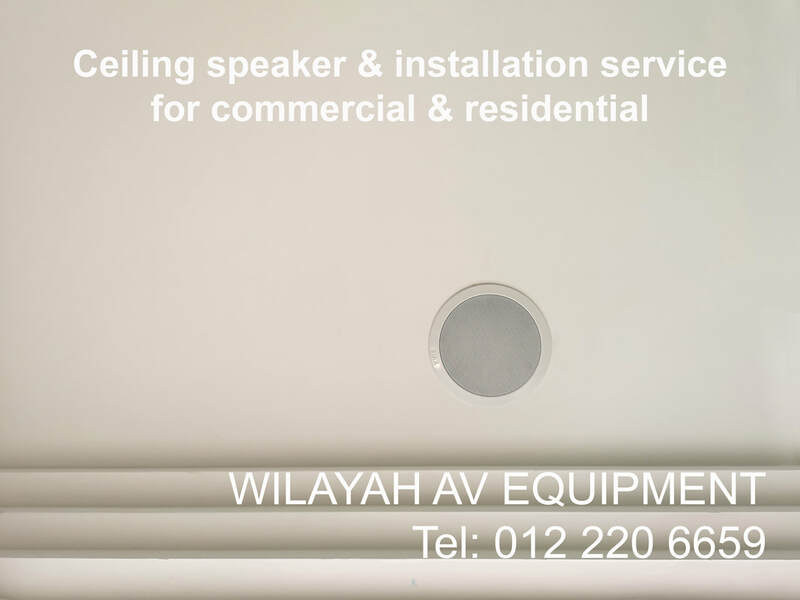 We provide a complete ceiling speaker system for your home. 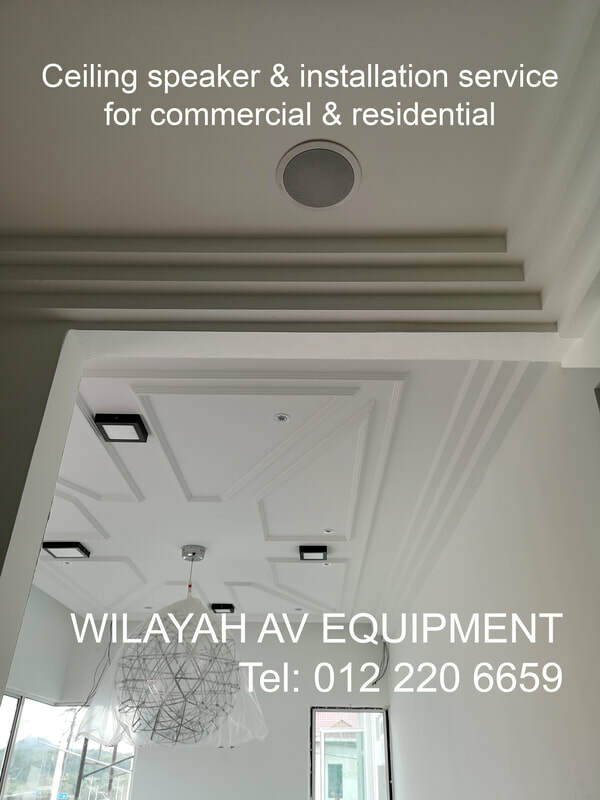 1 master control for all ceiling speakers. 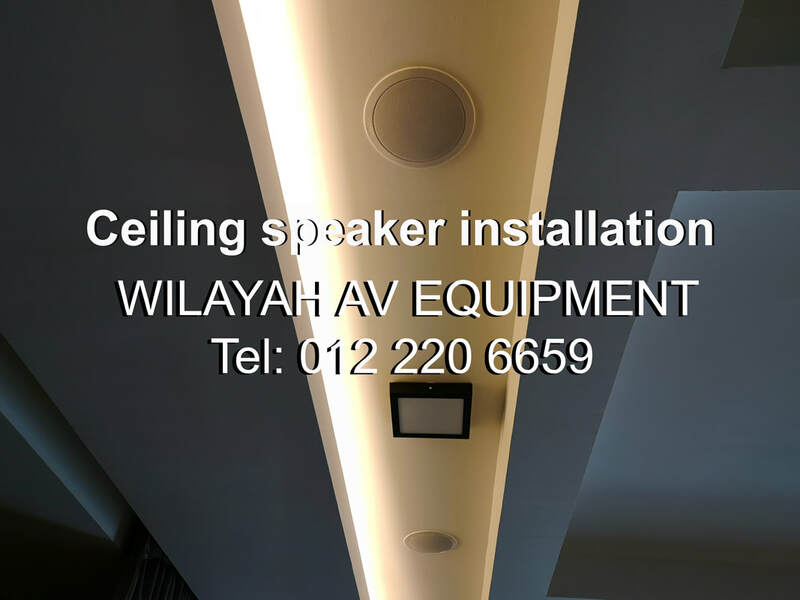 Ceiling speaker system for home. You can play soft music with ceiling speakers at selected spot of your house the entire day. 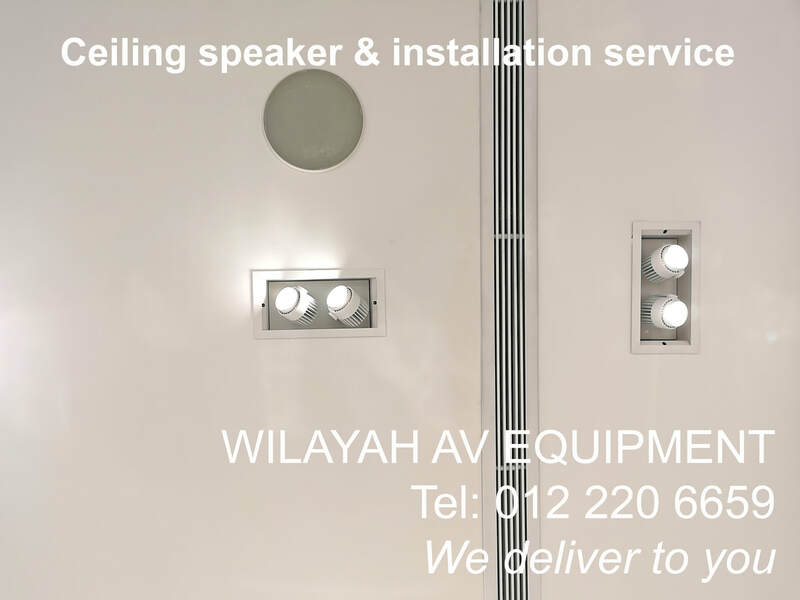 Ceiling speakers can be installed at almost any part of a building without intruding the interior design. 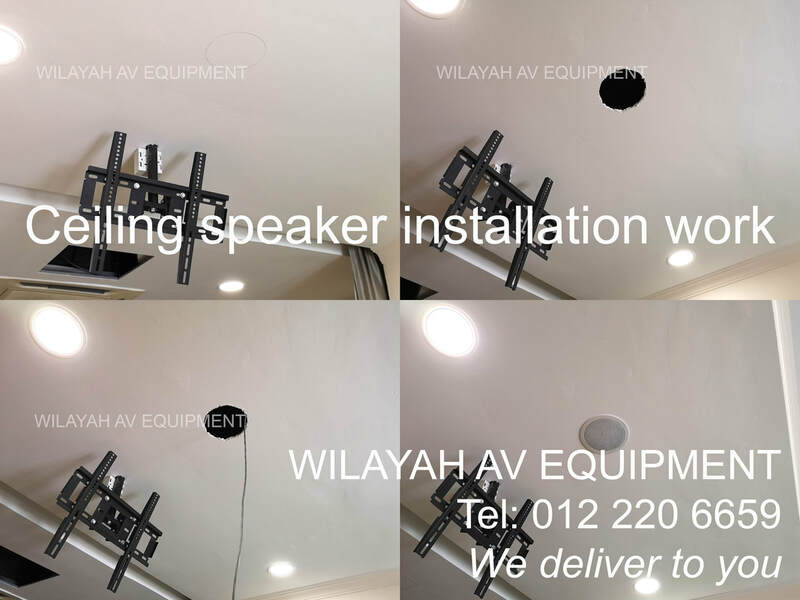 High performance ceiling speaker for retail outlet. 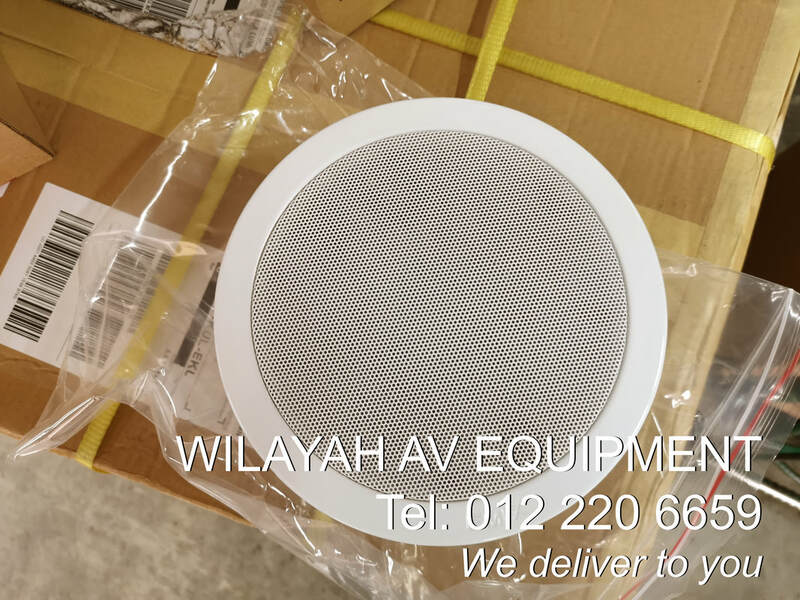 Ceiling speaker for office building, shopping mall, factory and others. 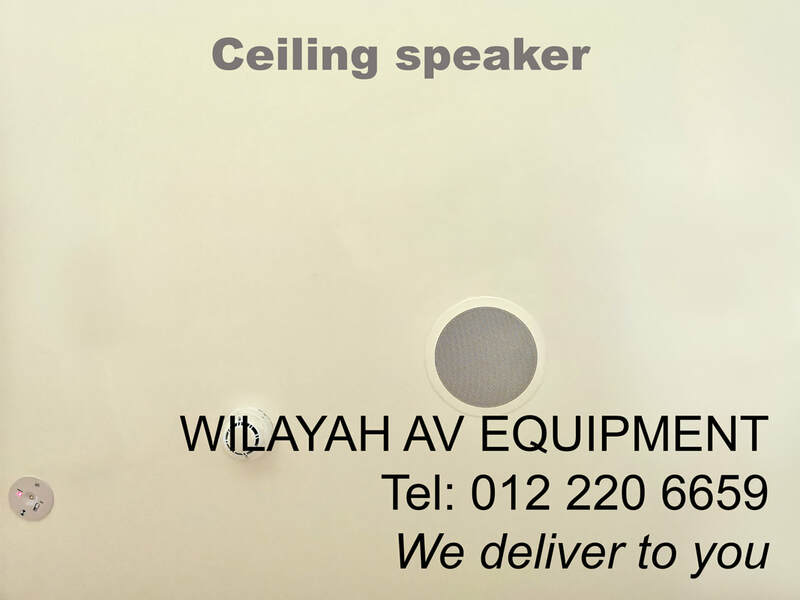 Bigger ceiling speakers are available for better sound quality. Suitable for f&b outlet, hotel lounge and home. 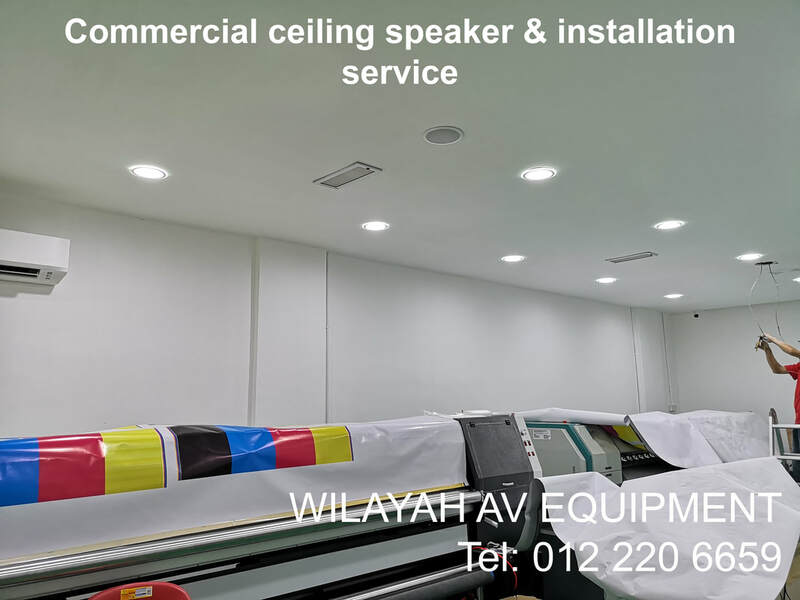 Commercial ceiling speaker for factory. 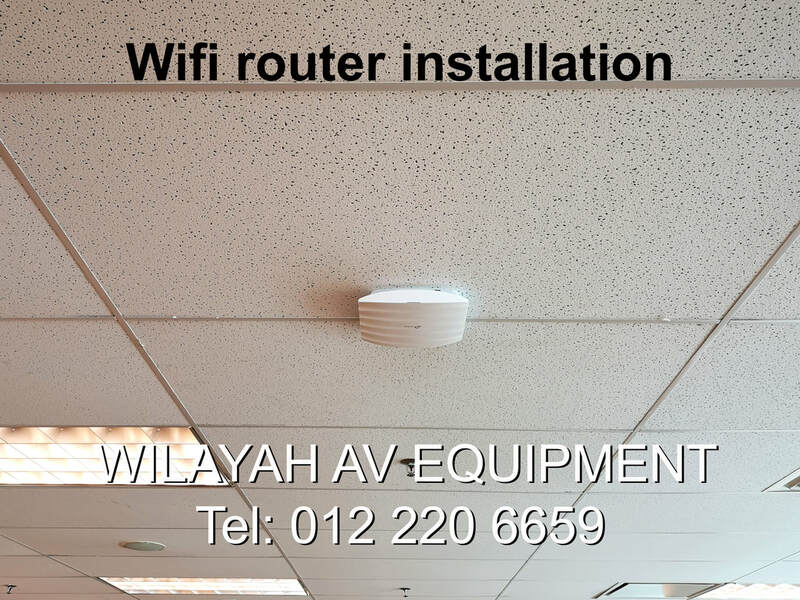 Ceiling speaker installation for office use. 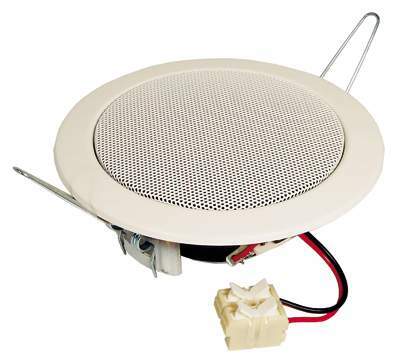 1W, 2W, 3W 6W ceiling speaker for commercial usage. 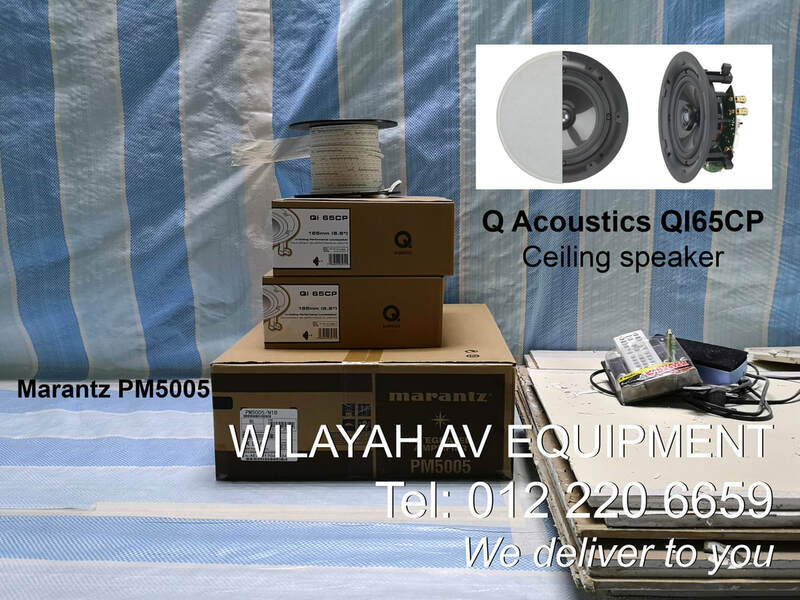 Q-Install QI65CP Speaker 6.5" Performance In-Ceiling Speaker. 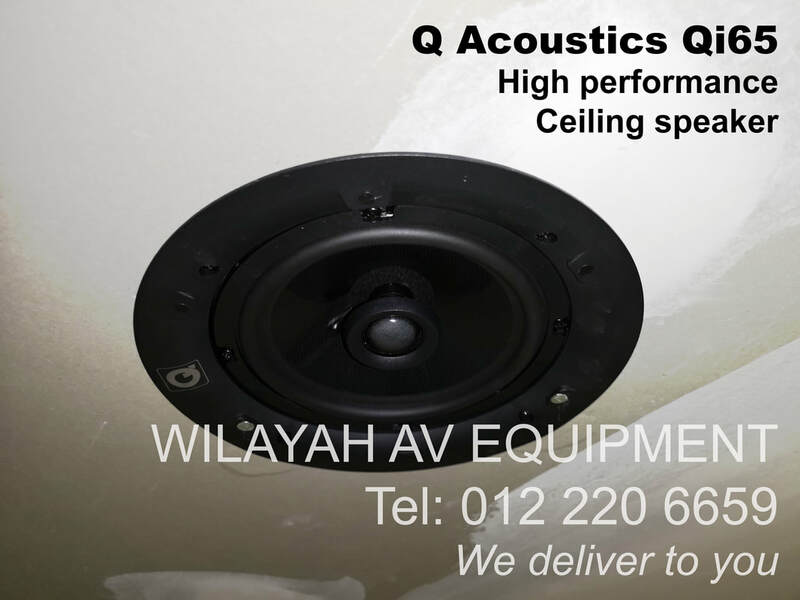 The Q Acoustics 6.5" Professional in-ceiling speakers feature the latest stereo speaker technology that so that you can enjoy great sound with minimal installation. They give you the ability to listen to music throughout your home, even in bathrooms as they are moisture proof. 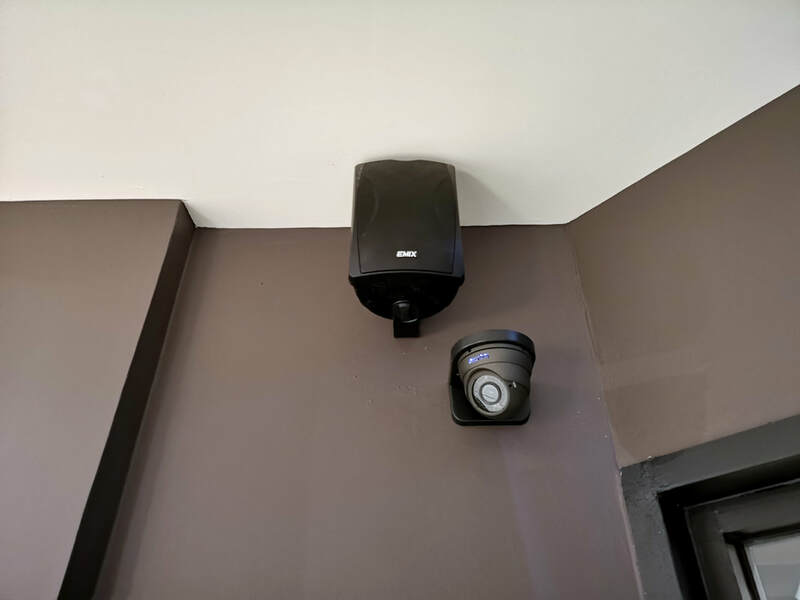 Now you can listen to the same music in many rooms, overcoming the impracticality of placing conventional, free standing speakers in every room. Here is another Q Acoustics Qi65 ceiling speaker installed. 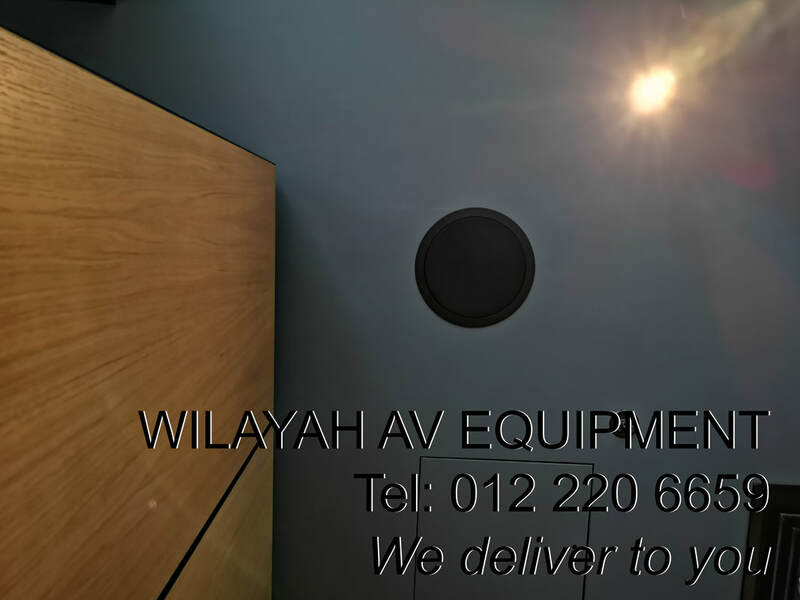 Our client opted for this due to space constrained and wanted a high performance speaker. Plenty of clarity and with enough bass for a ceiling speaker. Controlled Dispersion Technology™ (CDT) directs both the high and low frequencies towards the listening area. 1-inch silk tweeter mated to a swiveling 100-degree Tractrix® Horn. 8-inch polymer woofer rotates a full 360 degrees and shifts 15 degrees in any direction. Q Acoustics Qi65CB is a 6.5 inch ceiling speaker suitable for F&B outlets, hotels, VIP lounge and home. 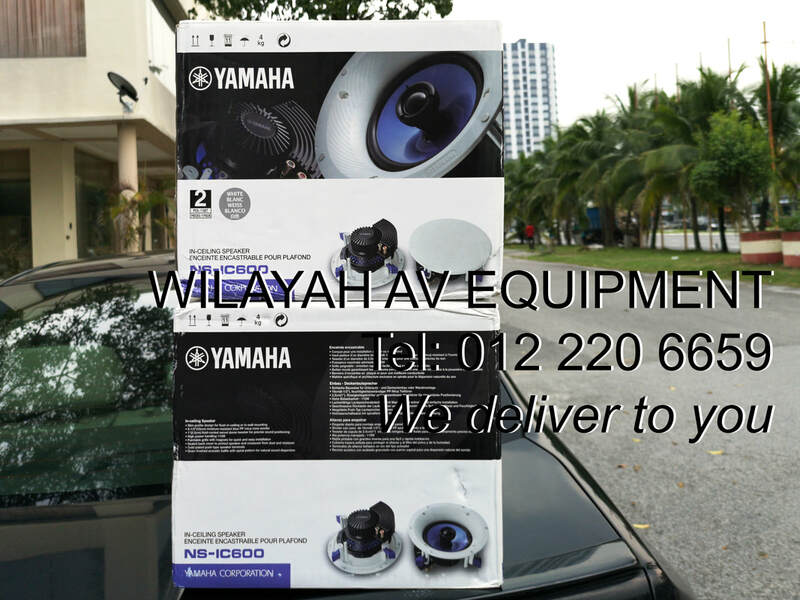 Yamaha NS-IC600 ceiling speaker delivered to our customer. 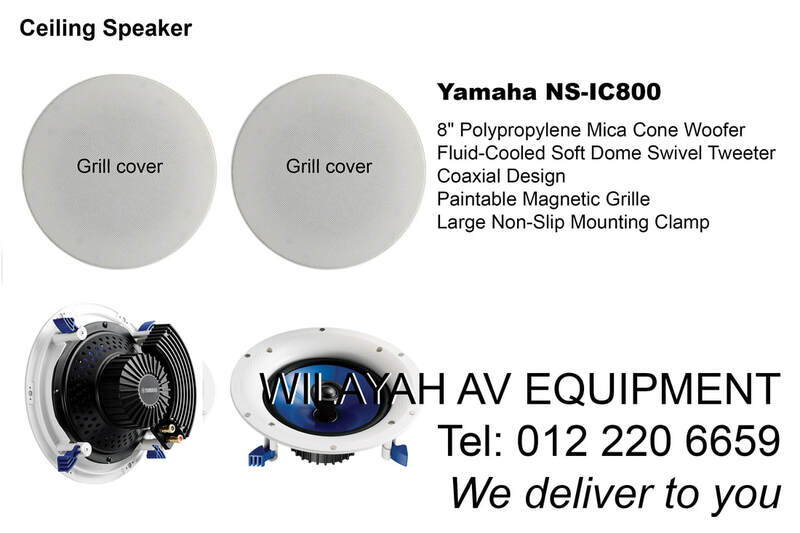 Yamaha NS-IC800 is an 8" ceiling speaker for high performance. Suitable for movie and music. 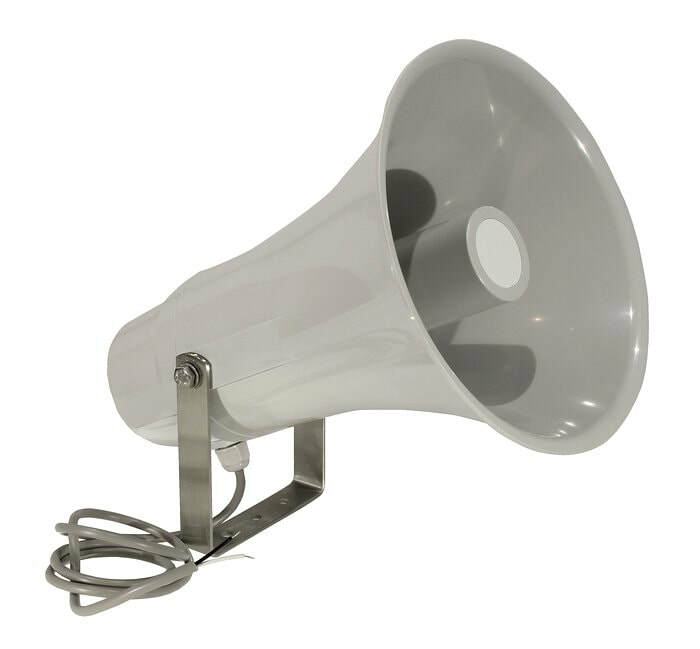 horn speaker with very high sound pressure level and wide, balanced frequency range which leads to an excellent speech reproduction. Tap selection via rotary switch (100 V/70 V or 8 Ohm operations possible). Secured against inadvertently switching off. UV-resistant, light grey plastic housing (ABS UL 94: HB). Pivoting V2A/AISI 304 stainless steel bracket for mounting on walls, ceilings, columns etc. 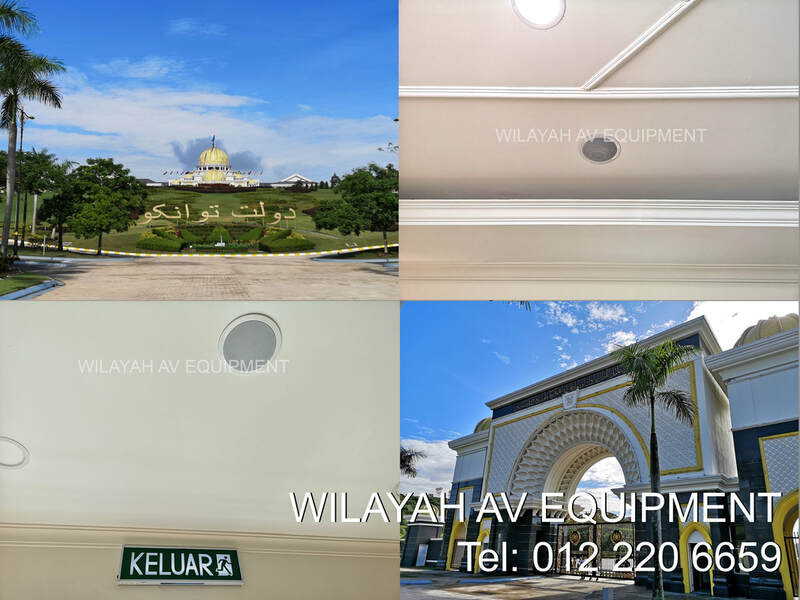 This horn speaker for shopping mall, car park, mosque, factory, stadium. 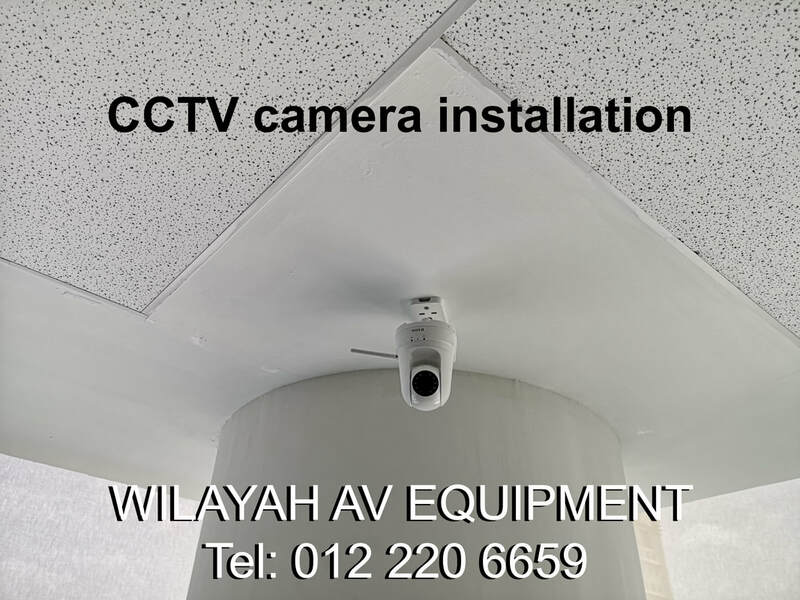 For more details contact 012 220 6650 for more details. This is a (5") 2-way coaxial car audio loudspeakers with polypropylene cone and polycarbonate tweeter. Integrated crossover (capacitor) for the tweeter. Very balanced sound. 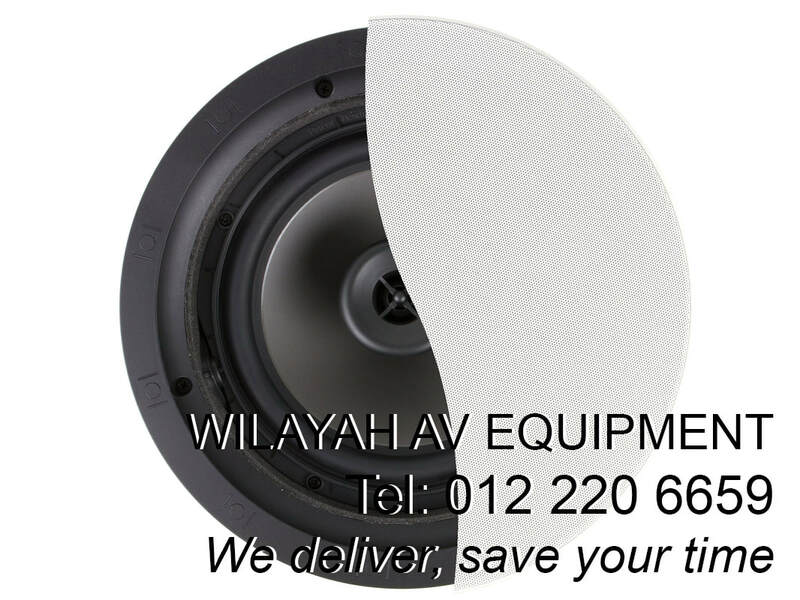 Straightforward installation in vehicles with cutouts for 13 cm speakers. Door and rear tray installation possible using mounting ring and grille. Packed in pairs, mounting accessories and protective grilles are included. 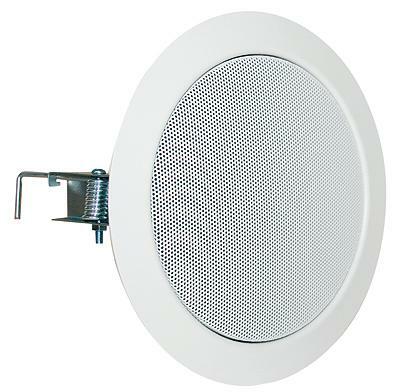 Visaton DL 10 - 8 Ohm is a 10 cm (4") ceiling-mounted speaker with white metal cover (RAL 9010). 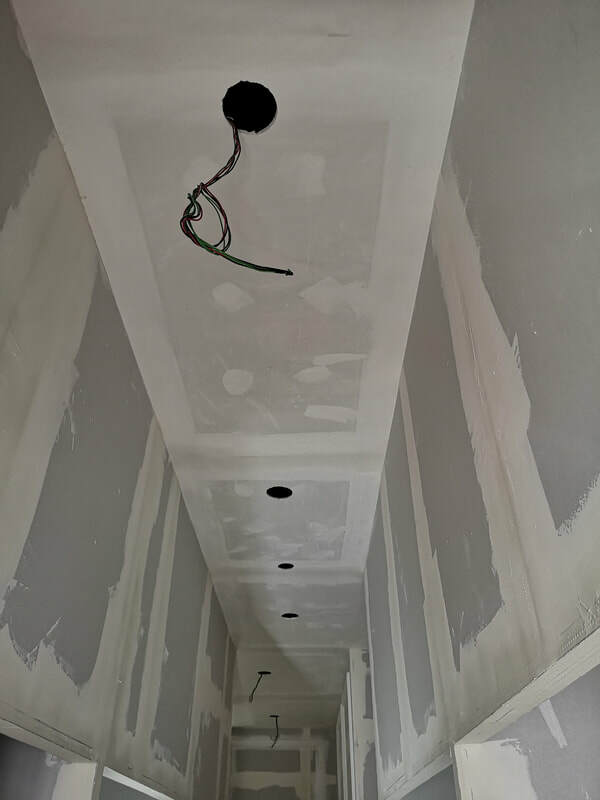 Suitable for use in all types of hollow ceilings. Easy fitting in round cut-out using spring arms. A push-terminal block allows quick and easy connection. A compact solution for home and professional use with good sound qualities. 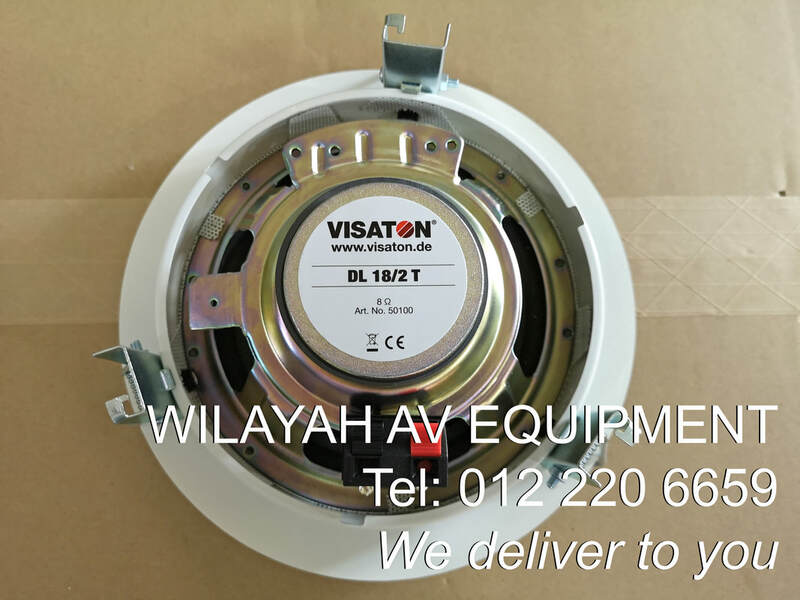 Visaton DL 13/2 T - 8 Ohm is 13cm (5") Hifi ceiling speaker with corrosion free grille, suitable for the installation in suspended ceilings of any material. Equipped with a 2-way coaxial driver. 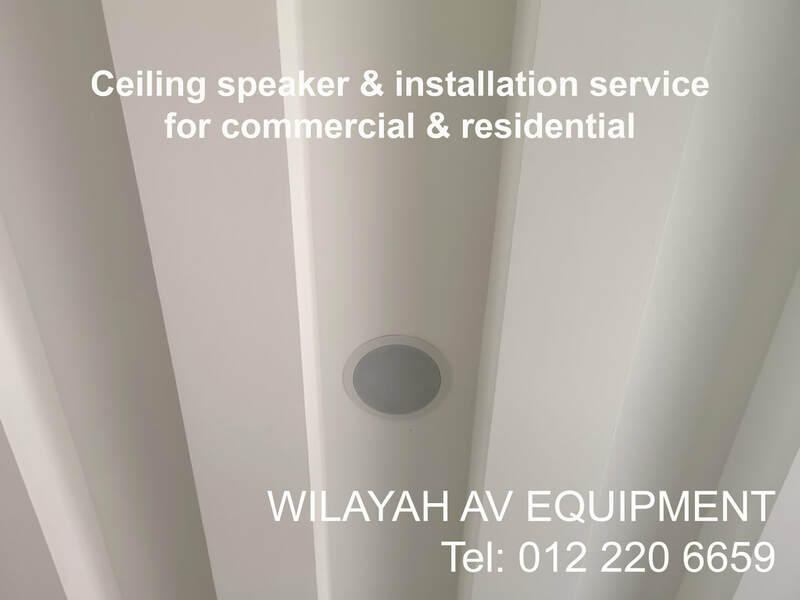 Quick snap-in mounting due to round ceiling cut-out through which the speaker with mounting ring can be installed. A push-terminal block allows a quick and easy connection. A quick-mounting bayonet connection provides an easy installation of the grille. 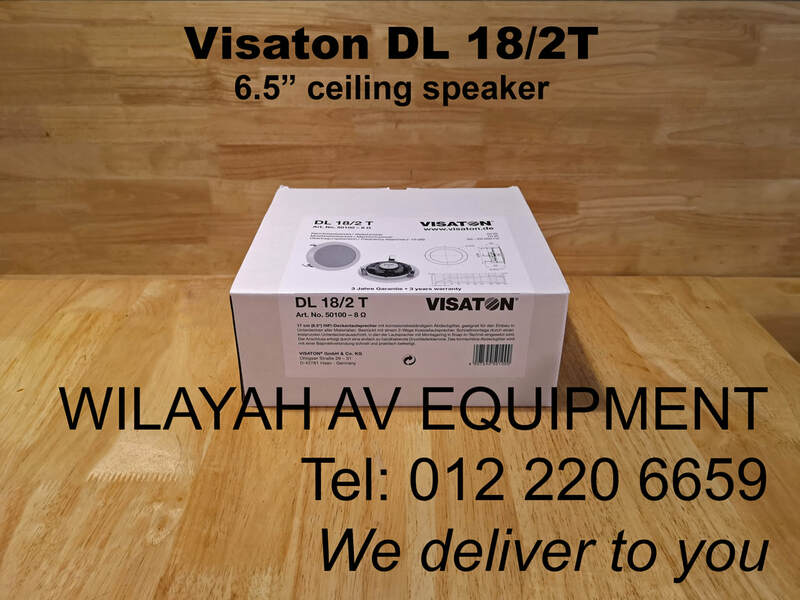 Visaton DL 18/2T is a 17 cm (6.5") HiFi-ceiling speaker with corrosion free grille, suitable for the installation in suspended ceilings of any material. Equipped with a 2-way coaxial driver for music and speech in shops, at home, hotels etc. 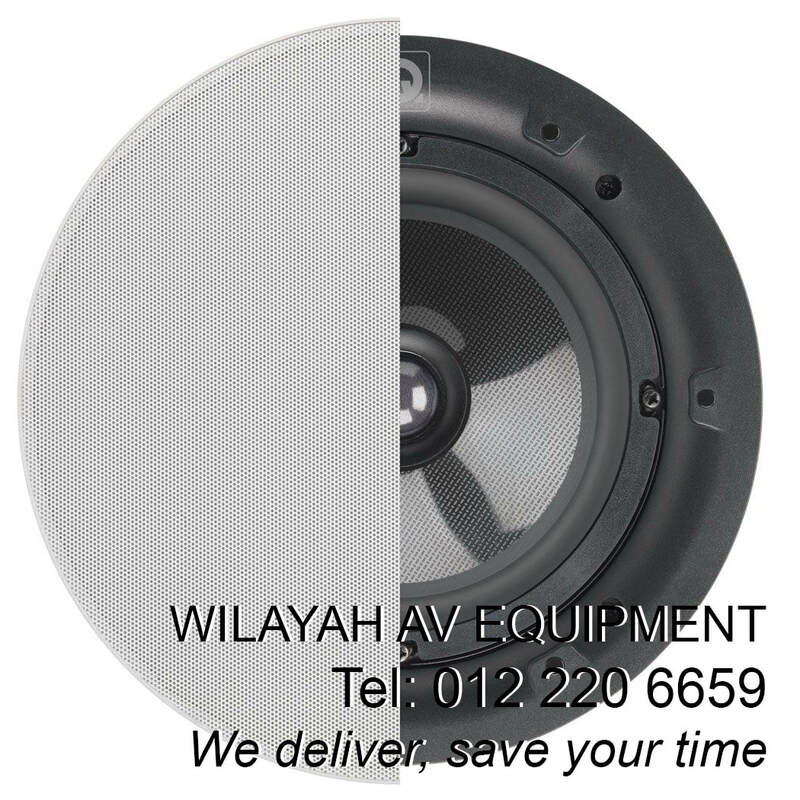 Visaton DL 18/2T is a 50 watts ceiling speaker for higher quality audio output. Suitable for hotel lounge, VIP section, cafe, retail store, meeting room, showroom. 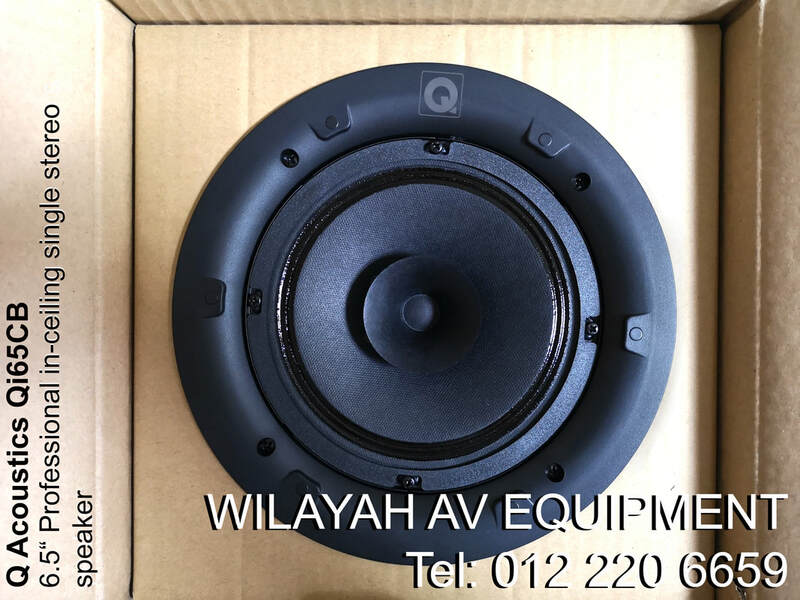 Magnetically shielded 10 cm (4") fullrange speaker with high efficiency, balanced frequency response. Water-repellent cone and rubber gasket. 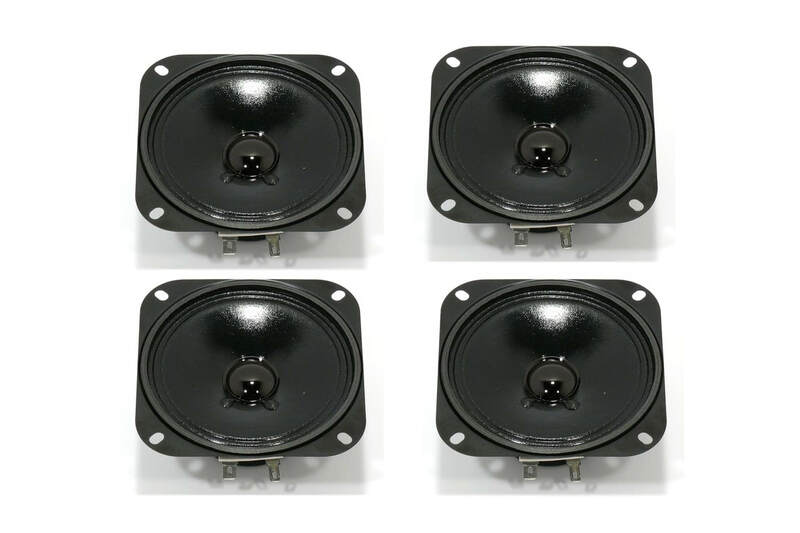 Especially suitable as control speaker in electronic devices and as speaker for public applications and public transport systems. Saltwater resistant 10 cm (4") full-range driver with glas fibre cone, plastic basket and grille. Balanced frequency response, high efficiency and good high-midrange reproduction. 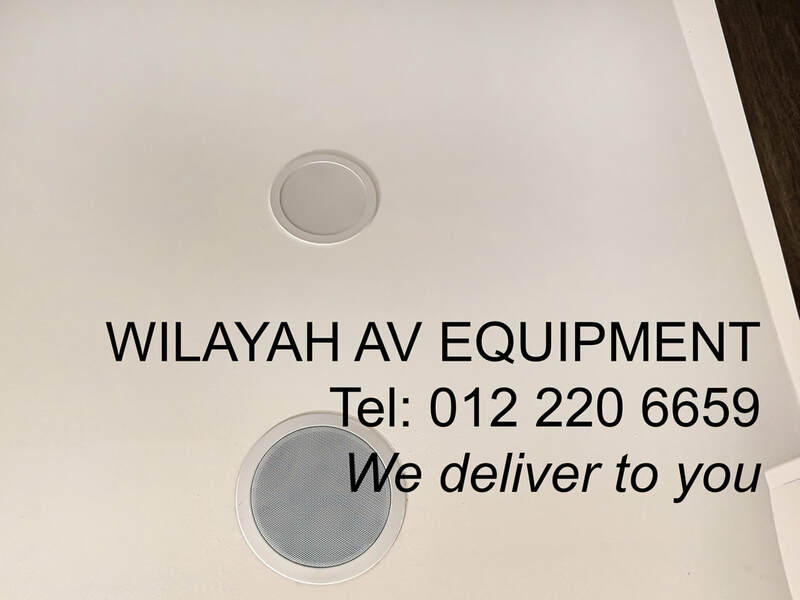 Long time weather proved and therefore especially suited for out-door sound reinforcement systems, swimming pools, sauna and speaker for boats, ships and open vehicles. Also suitable for model boat applications. TOA F-2352SC is a 6 watts ceiling and wall-mounted speaker covers an extremely wide area and can be used for 25, 70 and 100 V line applications. Well-balanced sound can be heard uniformly at any location. 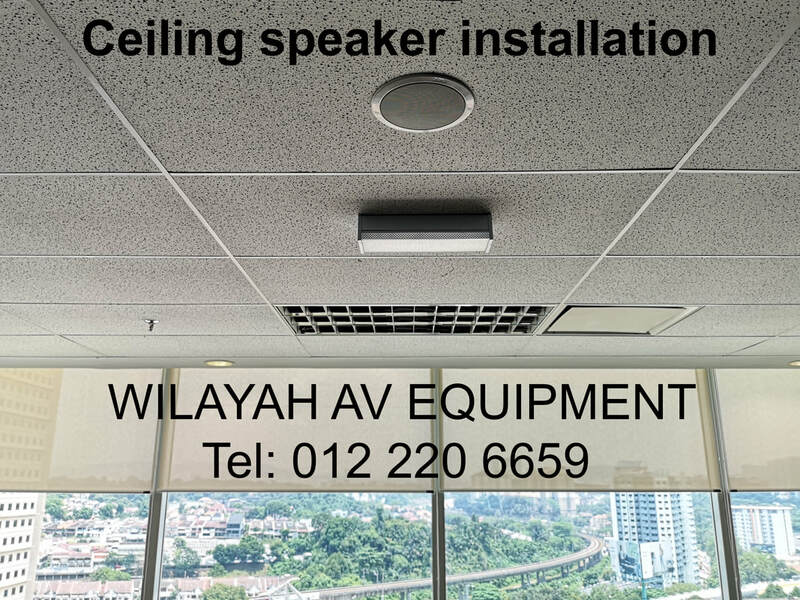 TOA F-122C is a 30 watts ceiling and wall-mounted speaker covers an extremely wide area and can be used for 25, 70 and 100 V line applications. Well-balanced sound can be heard uniformly at any location. 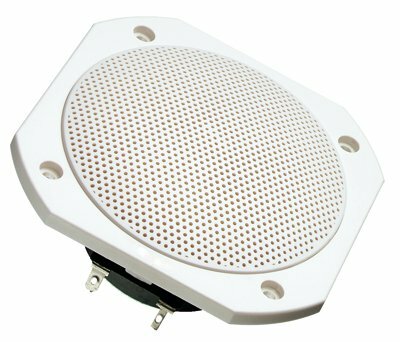 TOA F-2852C is a 60 watts ceiling and wall-mounted speaker covers a wide area and can be used for 25, 70 and 100 V line applications. Well-balanced sound can be heard uniformly at any location.